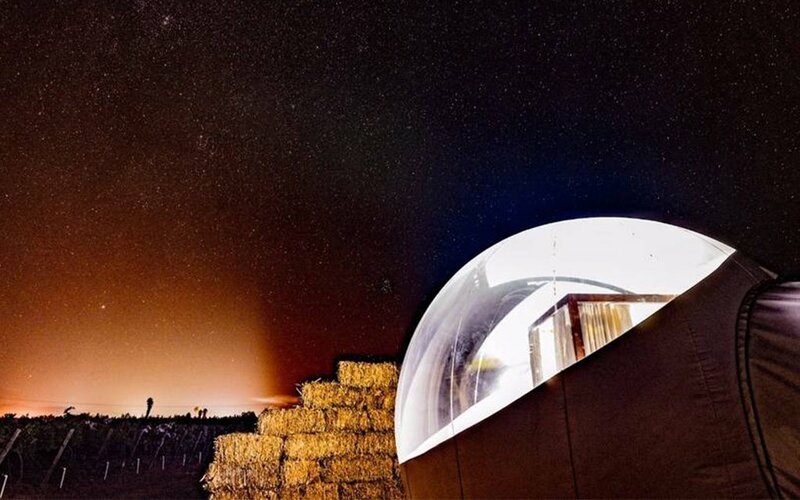 Few can argue the appeal of a truly unique glamping experience. You know the ones: a treehouse in paradise, an Airstream in Yosemite, safari-style bivouacking in Zion. What they lack in room service and ice machines, they more than make up for in solitude and photo opportunities. The hard part is finding the courage to actually book it … or having the will, only to find out it’s reserved for the next decade. 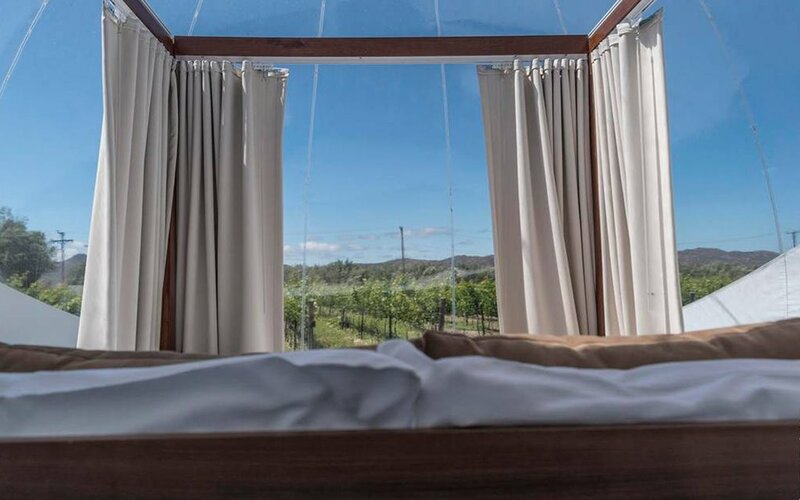 Which is why you should pounce now if you want to stay at Campera Hotel, a collection of 10 “bubble suites” in the wine country of Valle de Guadalupe, located along Mexico’s Baja California. The main attraction here is an orb outfitted with a massive bed, private bathroom and front-row seat for scoping out the constellations. Crucially, Campera’s listings are also easily accessible on Airbnb, and at a reasonable rate, with some promising availability in the near term. Check out Bubble Suite #4 here to see for yourself. 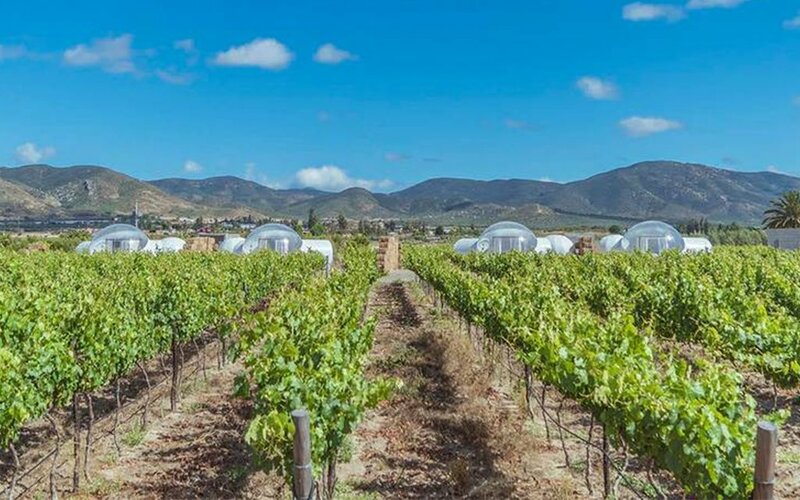 And for those saying, “Sure, but it must be in the middle of nowhere,” Campera rests among 80 different wineries, and is just half an hour from the coast. Don’t worry about roasting under the Mexican sun, either: there’s air conditioning aplenty throughout the resort.